Pharrell Williams really likes to put his fingers everywhere. In addition to be a singer, producer, coach on The Voice, he is now working with cookies. 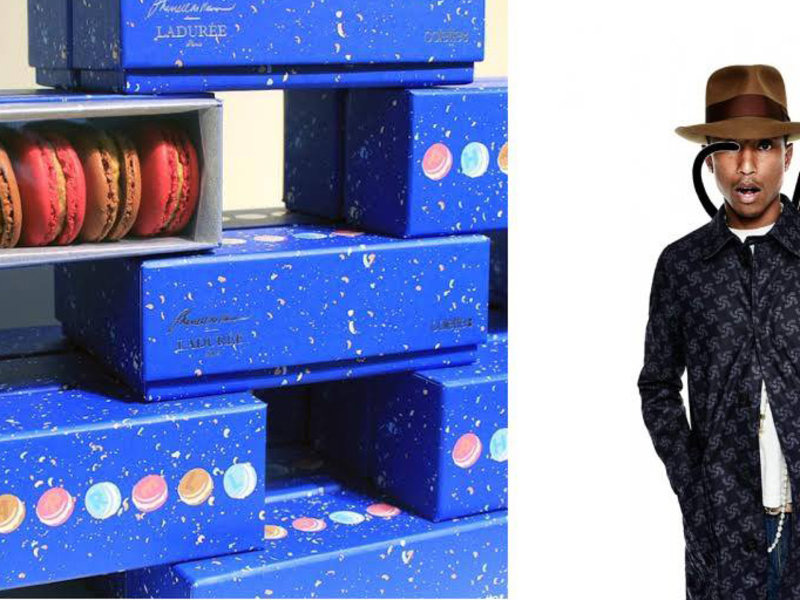 Popular singer has teamed up with French fashion brand Colette and Ladurée to produce two special types of macarons to promote his upcoming show at Paris’s Zenith Arena. 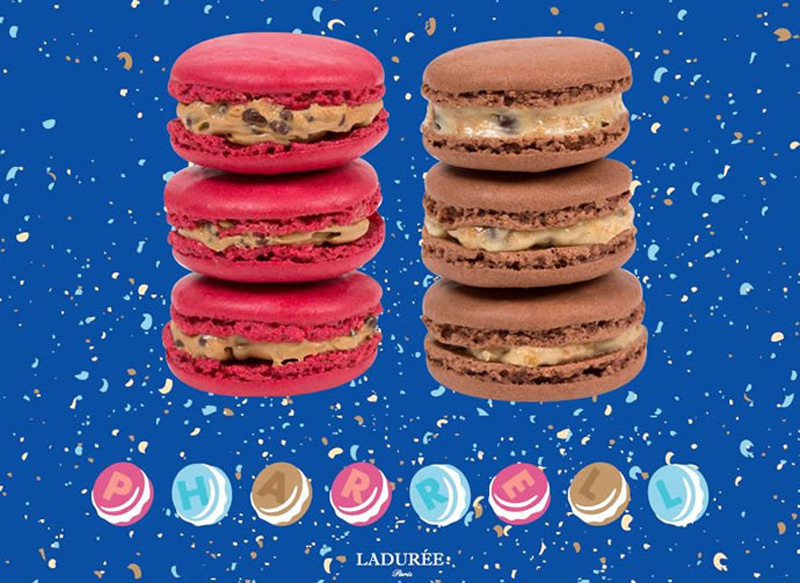 The limited edition box of six macaroons have been created with a completely unique, surprise flavors of cola and peanut butter. 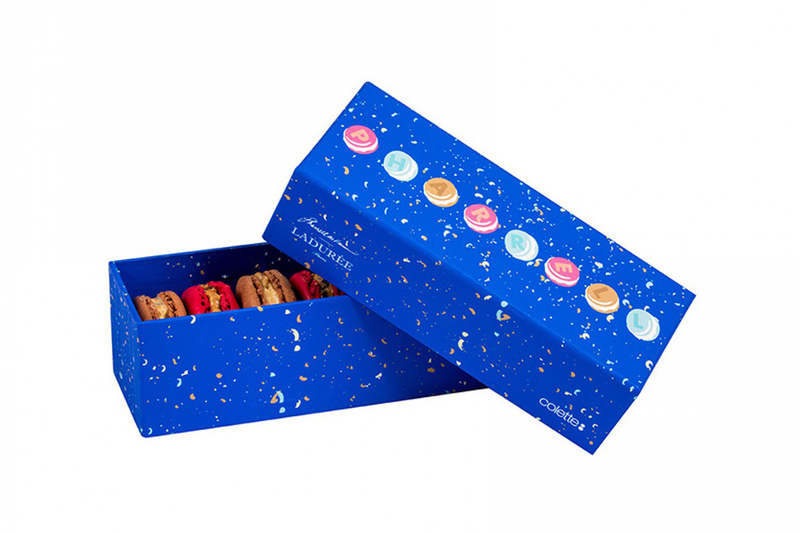 For this week only, until October 18, the concept store Colette will be selling a limited edition boxes of Pharrell Williams’ macarons.